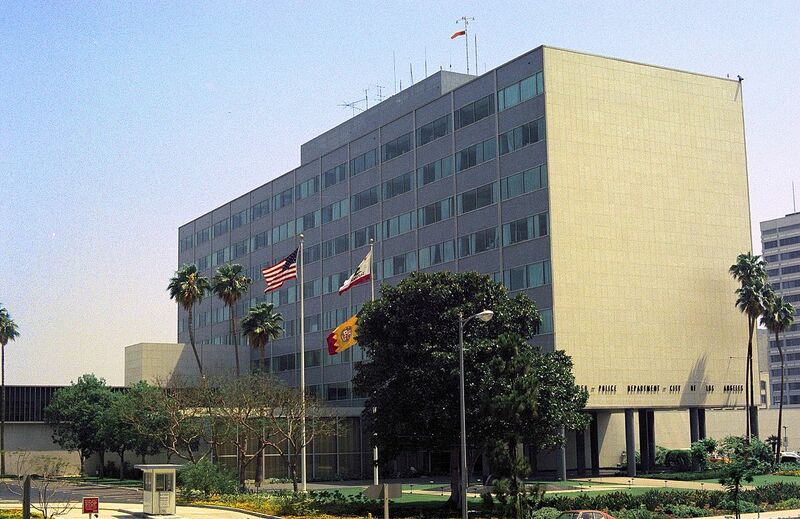 Various reports indicate that L.A.’s Parker Center, an International Style structure designed by Welton Becket and Associates that once served as the headquarters for the Los Angeles Police Department (LAPD), is set to be demolished starting August 20. The much-maligned building will make way for a new 750,000-square-foot, 27- to 29-story office tower that is being developed as part of a new master plan for the surrounding Civic Center neighborhood. 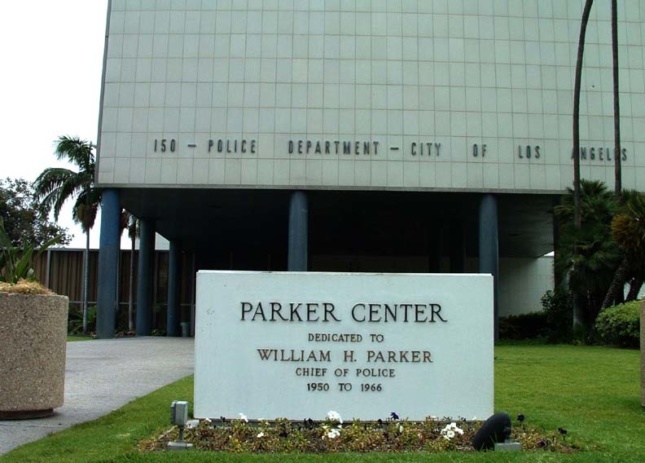 There was a short-lived effort to landmark and perhaps preserve the Parker Center last year that failed in large part due to community opposition to the building. 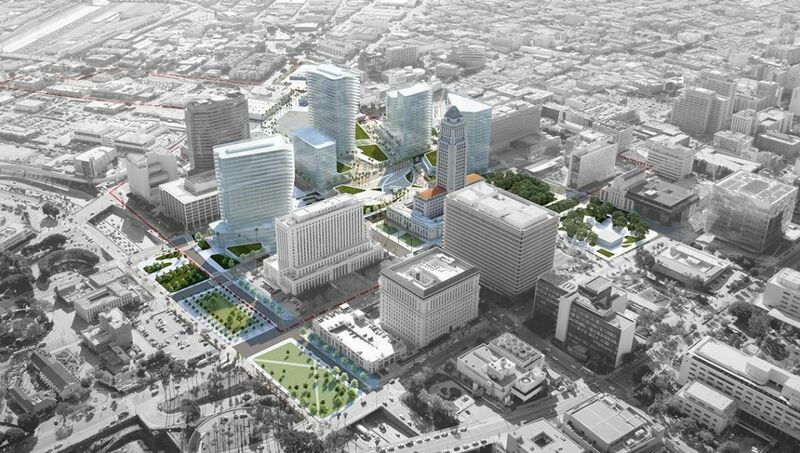 One reason the building is unpopular is that the site for the complex was taken from what once the cultural and commercial core of L.A.’s Little Tokyo neighborhood. Resentment over the displacement of businesses and cultural institutions resulting from the land-grab still runs high in the area and helped to derail the building’s application for Historic-Cultural Monument status. The building is also widely criticized in Latino and African American communities for its associations with the LAPD itself, an organization with many documented cases of brutality and injustice against members of those communities, including the brutal 1992 attack on Rodney King and offenses resulting from the ensuing L.A. Uprising. The building was originally designed as an “ultramodern” and “scientific” police headquarters that focused both on internal efficiency and—ironically—on thoughtful public interfaces. The building’s lobby features an open design, for example, and is populated by a series of site-specific artworks, including a mural by the artist Joseph Young titled Theme Mural of Los Angeles that depicts city landmarks amid abstract color fields. The complex also features a bronze exterior sculpture titled The Family Group by artist Bernard J. Rosenthal. In a 2017 interview with The Architect’s Newspaper, Louis Naidorf, one of the architects who worked on the complex, lamented the building’s sordid reputation. He said, “[I] always assumed architects were supposed to positively affect the lives of the people who used their buildings and that the ‘real client’ for projects like Parker Center were the people who work in the building, the people who walk by the building, the people who were affected somehow by the presence of the building.” Naidorf added, “Your work was a setting for their lives. At a more basic level, [you] can create spaces that are depressing or spaces that are happy.” The LAPD left the building in 2009 when a new 491,00-square-foot, 11-story tower designed by AECOM located down the street opened for business. Earlier this year, the AIDS Healthcare Foundation and other preservationists attempted to convert Parker Center into a shelter for people experiencing homelessness, but the plan failed. Ahead of the planned demolition, the public art elements were removed for storage and eventual restoration. The complex is slated to make way for a key component of a new “Civic Innovation District” that will bring housing, offices, and new open spaces to the area. The new office tower that is set to rise on the Parker Center site has yet to be designed, but official estimates put its cost at $700 million. A detailed plan for the design and construction of the tower has not been announced, but planning documents explain that the city plans to complete the replacement tower around 2020.